Camping Villasol es un camping en Benidorm, Alicante. Este camping en terrazas tiene plazas con cercos, con sombra, sin sombra y parcelas con algo de sombra. Cabe alquilar bungalós. El camping dispone de de terreno de deportes. El camping dispone de una piscina descubierta, una piscina cubierta climatizada y una piscina infantil. Este inspector visita cada año al Camping Villasol y lo inspecciona considerando más de 200 servicios y otros aspectos importantes. El inspector es un trabajador de ACSI y no trabaja para el camping. A lovely site . Easy walking to the centre of Benidorm. Benidorm palace put on a great show. Peaceful, clean and friendly but so close to the Benidorm everyone knows and loves! Amazing views, hot showers and easy to find. Permanently full winter destination for many nationalities. Booking essential. Very crowded feel with most units in residence for several months at a time. Pitches at bottom of site very noisy from road, but further up the sloping site fine and offer great views not just of Benidorm but also the surrounding mountains. Pitches are about 60m sq with 6amp electric with a 4kw daily allowance after which you pay extra!! Toilet facilities excellent and constantly serviced. Staff are friendly and reception staff speak very good English. Well stocked shop. Bar/Restaurant has a working mans club feel to it but the possibilities are endless within a 2km walk. Masses to do in a short distance. Never used it but pool looks fab. Wifi pricey and does not work properly for long periods . NO dogs that's a plus for us but not for dog owners. Some long termers/residents think they own the place and can be quite rude and noisy, but many are friendly and helpful. Good safe place to camp in Benidorm as many other sites are low lying and at the mercy of storms and heavy rain causing flooding that cannot happen at Villasol. Best on offer locally but has it's faults. We are very happy hearing from you. Pitchs are 80 m2 and with 10 Amp, that it is enough for most of the caravans which arrive here. We are working to improve our Toilets and Plots in 2018 and we hope you can visit us to check it. ¿Desea reservar u obtener más información sobre su camping Camping Villasol? Puede hacerlo mediante los datos siguientes o a través de la web del camping. En la N332 entre P.K. 151 y 152 sal. Benidorm/Playa de Levante. Seguir las señales del camping. 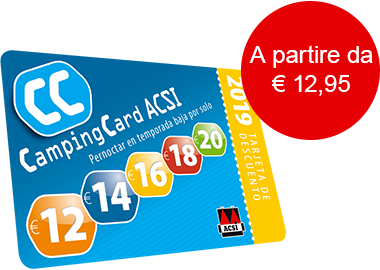 ACSI Eurocampings reenvía su solicitud de información al "Camping Villasol".